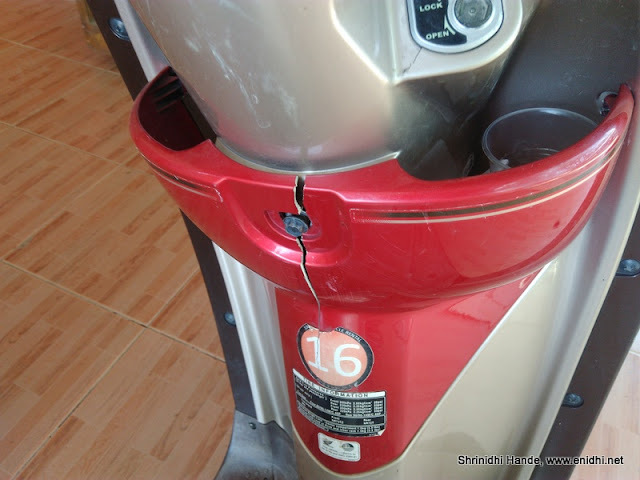 Home / Asia / Automobiles / International / Philippines / product or service reviews / Bike Rental in Puerto Princesa, Palawan: My Experience and feedback! 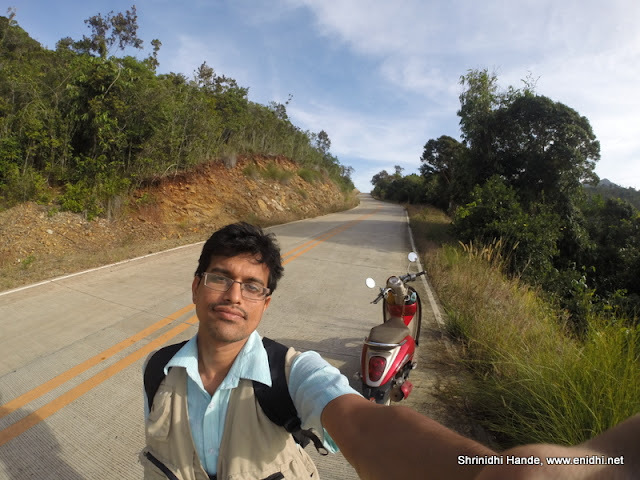 Bike Rental in Puerto Princesa, Palawan: My Experience and feedback! Once I decided to spend about 2.5 days in Palawan province, I had to plan further as to what to do there, how to commute etc. Because I had tried a bike rental in Bali, it stuck me that I could possibly try the same in Palawan as well. 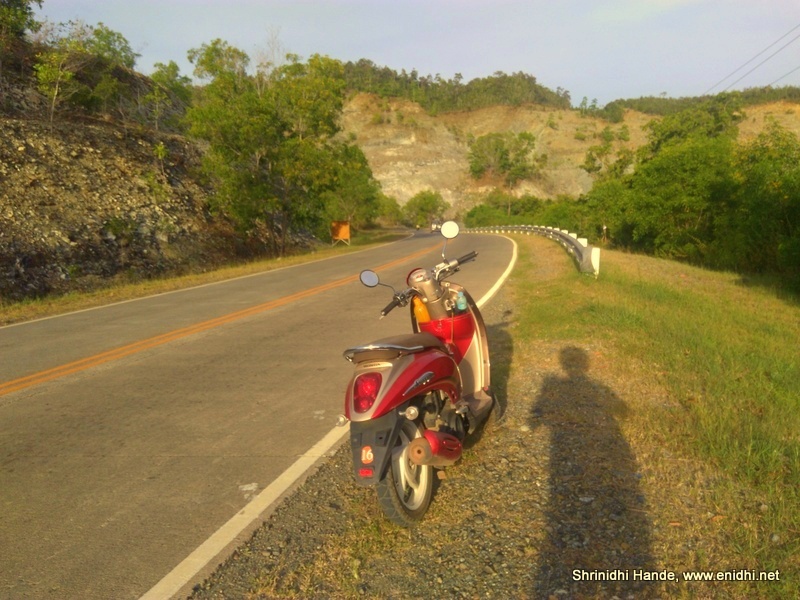 This post shares my experience researching, renting and using a two wheeler to explore Palawan Province. If you're looking to try out the same this post will be of use to you. If this topic doesn't interest you, you can check my rest of Philippines post here. After some searching on the net, I came across http://rent-a-bike.ph/ Their logo appeared very similar to that of the agency in Bali from whom I had rented, so I felt both could be of same parent company and would have similar standards of products and service. There were few other cheaper options, but I decided to stick with above agency for their similarity with the Bali agency. But this was a mistake as I realized later- there were no similarities and the agencies were not connected. 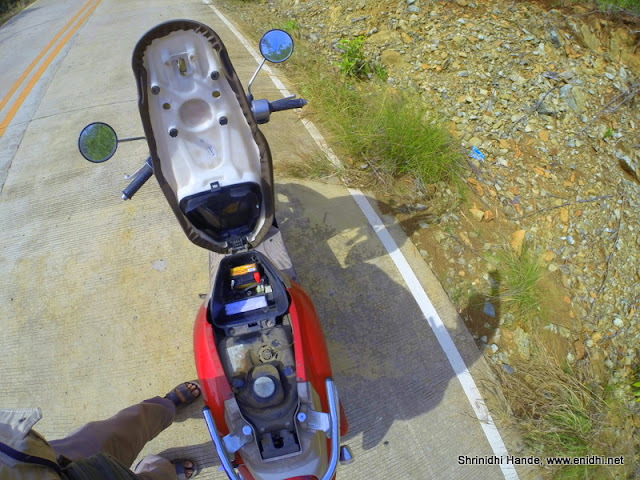 The cheapest option they had was Honda Scoopy, PHP 649 a day (Rs 1000 or USD 15), slightly expensive than what it cost in Bali. I felt like trying some other model this time, so selected Honda XRM, a semi- automatic moped, priced about 50 PHP more (similar to Honda Street we had in India decade ago). Top option they had was Bajaj Pulsar 200 NS, locally known as Rouser. Booking process was simple- I didn’t have to pay anything upfront, so it was convenient. Booking was confirmed over email within few hours and they also replied to some of my queries on email. Unlike Bali where process was more automated, here in Puerto Princesa I didn't have to pay anything upfront but I had to give an original ID document as deposit, along with 1000 Peso cash while collecting the bike. I was not comfortable giving my passport but they said even Driving license is fine- that was much less risk, so I agreed. There was no mention of any insurance. On the day of my arrival, I walked to their office and identified myself. The delivery guy promptly pulled out an XRM and let me ride around a bit. But it only started after 3rd attempt and its engine noise was not at all encouraging, so I wasn’t very comfortable renting it. I decided to downgrade and settle for the Scoopy which I had already tried in Bali and grown comfortable with. I also realized that there's no discount for online booking- even walk in customer pays the same. Handover process was in time- I had to fill a form, had to give my original DL and 1000 Peso deposit + some 1947 Peso rental amount for 3 days. The vehicle had no registration number- I was told it is a time consuming process and it is OK to ride without a number. Scoopy already had some cracks, it had no mobile holder like in Bali- so that was very inconvenient- I would have to stop often and refer map from mobile placed inside the pocket. I was assigned Scoopy with Number 16, the only Scoopy available that time. It also had only 25% fuel. No papers were given (it wasn't registered yet). Without too much options, I decided to take this Scoopy and leave. The delivery boy also offered to personally take me to some interesting places in the evening if I am interested, for no extra cost. I said I will call you if needed. He also didn't have change, so I was forced to let go of 53 pesos. I soon realized that there're few things wrong with this Scoopy compared to Bali version. Main inconvenience was that it had no under seat storage- battery took the space which could have been used to store some stuff- so I couldn't keep my helmet there. Having to carry the helmet all around was not convenient. This variant of Scoopy also locks the lid of keyhole automatically- more secure but takes more effort to unlock. Unlike Bali where I rode 820 kms in 4 days, in Palawan I rode only about 200 odd kms over 2.5 days. Had to fill up about 250 PHP worth of petrol. (I was given at 25%, lost a few pesos because of this). Other than the fact that storage space under the seat was compromised, there were no other major complaints. I could explore the island at my will. I went to return the bike as per scheduled time. I had about an hour before check in would close. But the counter staff couldn’t find my documents for a while- this was scary. They made a few phone calls, scrambled around and finally found it. I am glad I didn’t give my passport. There was no under seat storage unlike the Scoopy I had tried in Bali. So I couldn’t store the helmet under the seat, having to carry it all around wasn’t convenient. No reply given when asked about insurance. The hostel I stayed- Tree House Inn, didn’t have secure parking, so I was under constant fear that someone may steal the bike overnight. Thankfully nothing of that sort happened. While many agencies rent out at 450-500 PHP per day for a Scoopy, Rent a bike Ph’s rates are on the higher side at 649 PHP per day. Note 1: Do not give original passport as deposit. You will need it for underground river cruise, hostel check in and few other activities. It is also a big risk- if passport is lost or misplaced you can’t leave the island or end up missing your flight. Driving License or other documents are relatively low risk. I would prefer a model in which they block certain amount on the credit card or take a larger cash deposit instead of original document. Note 2: It may not be necessary to rent the bike for all days- on some of the days you will invariably take tour packages which involve hostel pickup- boat ride etc- you won’t need a bike. Plan accordingly so that your spending is optimized. Next time I will probably try a different agency.